● Employers can find special offers advertised on the employer website and get up to 90% off on multiple job postings and more. ● Jobseekers can browse job postings for free and also upload a profile accessible for employers at no charge. Go here to create a profile on the site. ● Coupons offer savings that simultaneously increase with the number of job postings. For instance, past coupons have allowed employers to save about 15-40% on one to four job postings. 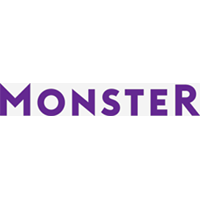 Professionals around the world can use Monster as a valuable resource to find more information about job offers in their immediate area and other locations around the world. They operate in Europe, North America, the Middle East, and Asia. You will need to create an account that will give you the opportunity to upload your own resume, provide some information about your educational and career background, and begin applying for jobs. You can read through potential job descriptions from very reputable companies to see what your responsibilities would be and simply click a button to submit your resume for consideration. For most up to date offers check out Monster.com on Facebook and Twitter or contact Monster.com Support for any questions.